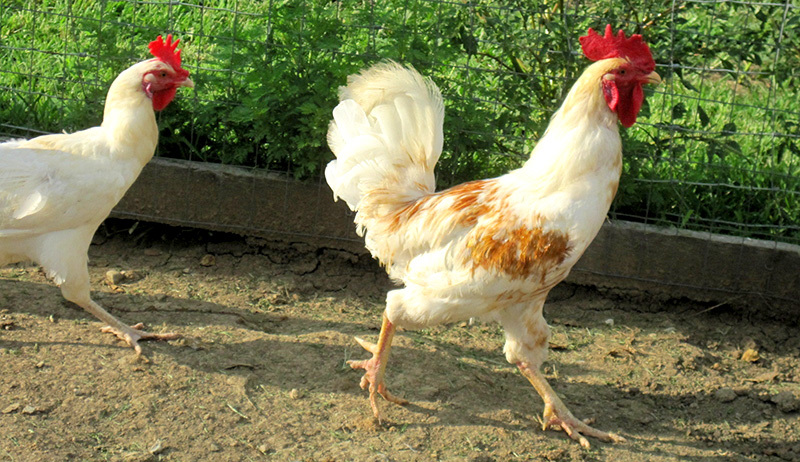 Many of our domestic chicken breeds were cultivated for colder temperatures. They have down feathers insulating their bodies, they naturally move regularly to keep warm, and they instinctively know to eat more when winter arrives. They also huddle together at night for warmth and spread their feathers over their toes while sleeping on their perches. Most chickens tend to avoid snowy conditions—usually. Still, no chicken is immune to the threat of frostbite. A flock’s susceptibility to this dangerous condition is largely determined by the housing structures and environment you create for them. Avoid frostbite in your flock by understanding it and the conditions that make it possible. Frostbite occurs when skin or flesh and its underlying tissue becomes frozen and damaged from very cold—and probably very windy and damp—elemental conditions. First, the affected area becomes cold and turns red. Eventually, it becomes numb and pale. There may be joint and muscle stiffness in the affected areas, causing clumsiness when using those parts of the body. These early stages of frostbite are called frostnip, and depending on the severity, can be reversed by warming the skin. Frostnip left unchecked will result in superficial frostbite, which, if reversed, will likely result in painful fluid blisters, but a full recovery in the chicken is probable. Severe frostbite affects all layers of the skin and can result in nerve damage, as well as damage to the underlying tissues, muscle and bone, and possibly infection. At this stage, the characteristic blackened tissue of frostbite appears as the tissue turns hard and dies. Very cold temperatures, in combination with moisture, make a perfect recipe for frostbite. Frostbite most commonly affects the body’s extremities, aka those parts farthest from the body’s core. In humans, that usually means the fingers, toes, ears and nose. The parts of the chicken’s body that are susceptible to frostbite are similar: legs, feet, toes, comb, wattle and other fleshy parts of the face. Some breeds, such as the Naked Neck, have more skin exposure and an increased risk of frostbite injury. Avoiding frostbite and reducing its threat on your flock is best done with a few preventative measures in winter. First things first: Without a doubt, the most efficient way to fight frostbite in chickens is to raise cold-hardy breeds that are suited to the temperatures in your climate. By choosing birds that are cultivated to withstand colder winters, you are setting up your flock, and yourself, for success. 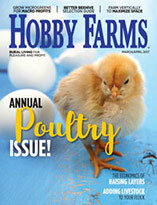 Is the chicken breed large and thickly feathered? Does the breed have a large or small comb? Breeds with smaller, more compact combs, such as a pea or rose comb, fare better in cold and are less prone to frostbite on their combs than breeds that sport large, thin ones, such as single combs. In fact, many single-combed breeds fare better in hotter climates because the bird’s comb helps regulate its body temperature by releasing heat. Great examples of cold-hardy breeds with pea or rose combs include Ameraucanas, Buckeyes and Wyandottes (pictured). If your climate is relatively mild with warmer summers and moderately cold winters, heavy breeds with single combs will fare well in both of your region’s extremes. My personal favorite egg-laying breeds that fit into this category include Australorps, Buff Orpingtons and Barred Plymouth Rocks—he latter breed tends to have a single comb on the smaller side. Proper coop insulation and ventilation in any poultry housing is absolutely paramount, not simply for fighting frostbite, but for combating deadly moisture that could contribute to a host of other ailments and diseases. Soggy or damp housing environments can create habitats for unwelcome guests, such as mites and parasites. Chickens, like most birds, have very sensitive respiratory systems, making good airflow critical for good respiratory health, too. Good insulation will keep your coop warm, and good ventilation will keep your coop dry. With all of that said, insulation doesn’t mean sealed tight and ventilation doesn’t mean drafts—quite the contrary! Ventilation allows air to circulate and moisture to evaporate, without allowing cold winds to blow onto roosting or nesting chickens. Drafts occur when large areas of the coop remain open, allowing gusts of chilly wind to enter, particularly around roosts at night, which can be especially dangerous in the winter. As mentioned earlier, cold temperatures in conjunction with heavy winds contribute greatly to conditions where frostbite might occur. In other words, drafty coops increase the chances of your birds getting frostbite. Windows are a great source of ventilation because they are easy to open during the day and close at night if the temperature drops, avoiding drafts, but they shouldn’t be the only source of airflow. Provide vents near the eaves of the coop’s roof or on either end of the coop, as well. 3. Supplement With Heat—Using Caution! 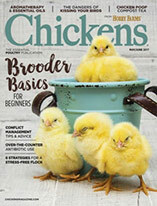 Whether you’re new to keeping chickens or you’ve been at it a while, it’s hard to resist the temptation to incorporate unusual, unique or exotic birds to your flock, and you may find yourself completely ignoring the advice given under tip No. 1. Naked Necks, Phoenixes and Silkies are personal favorites of mine that don’t always fare well in extreme cold. Phoenixes: These and other long-tailed breeds have special requirements to keep their lustrous tails from accumulating moisture. Silkies: These chickens are as sensitive to temperature as they are demure in personality. For these breeds and many others that you choose to raise in cold climates, it might be necessary to add supplemental heat to the coop to combat moisture, cold or a combination of the two. Properly and professionally set up supplemental heat in the coop. If you’re not handy, hire an electrician to expertly install your heating system. Reduce fire hazards in and around the heating source. 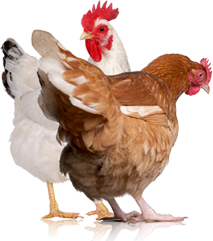 Use poultry-safe heat lamps with guards, if possible, and on a timer to control the temperature. Your electrician will help troubleshoot potential fire hazards during installation. Only heat the coop to a reasonable winter temperature for your area. For example, if sub-zero temperatures are common and consistent for your area, don’t heat the coop when the temperature hits 50 degrees F. In the event of a power outage, the sudden and dramatic drop from the warmth of the coop to the ambient temperatures outside could pose significant health risks to your birds, possibly death. Only raise the temperature in the coop a few degrees to take the edge off; it should not feel warm to you. Reduce supplemental heating as soon as possible after ambient temperatures begin to climb again. Give your birds time to gradually acclimate to the winter weather by adjusting the heat accordingly. The use of semi-flat roosts for your flock’s nighttime sleeping perches will allow them to utilize their built-in defenses against frostbite: the fluffy down feathers on their undersides. With the use of semi-flat roosts, chickens will puff out their body’s feathers, and, with them, will cover their feet and toes, shielding them from the cold. Two-by-fours are easily and inexpensively sourced. The texture allows the bird to perch comfortably. It’s an easy way for chickens to protect their feet during the coldest parts of the night. Have you ever tried to build a snowman without wearing gloves? Or have a snowball fight without mittens? Of course not! It’s uncomfortable and unsafe. The same concept applies to your flock during snowy conditions. Some chickens will instinctively stay away from snow, especially if it’s a rare occurrence in your area. But some birds will attempt to defy the curious fluffy white stuff, venturing out into snowy conditions to the detriment of their legs, feet and toes. As we know, chickens want to forage, scratch and peck at the ground, and they want to do it year-round. Whether snow is rare where you live, or there is a semipermanent layer on the ground from November to March, consider carving out a snow-free zone for your flock. A snow-free zone doesn’t have to be fancy or complex. It could simply be a run or pen with a roof, a tarped or covered area in the pasture or backyard, or simply a shoveled path around the coop. As mentioned earlier, soggy and damp conditions can contribute frostbite. Chickens spend much of their day in direct contact with the ground; that environment should be free from moisture and extreme cold as much as possible, especially at night. When it comes to coop flooring, the solutions are simple: Only use functioning water founts that are securely mounted or hung. If water founts are faulty or broken, leak consistently, or are easily knocked over, spilled water can lead to soggy bedding or frozen flooring, all potentially contributing to frostbite. Also consider employing the deep-litter method or use a bedding option that remains warm and dry in the coop. Pine shavings are a favorite because they dry faster and resist moisture better than hay or straw; pine shavings also perfectly compliment the deep- litter method. Sand is a colder alternative and doesn’t retain heat while using the deep- litter method because this method relies on the decomposition of bedding and manure, but it does dry very quickly and is a great bedding choice. Finally, consider providing perches, stumps and other places off the ground for birds to seek relief from the frozen ground while spending time outside. Offer windbreaks in the run or pasture, as well to help shield vulnerable combs and wattles from extreme winter gusts. Because a bird’s comb is the most susceptible body part, frostbite is arguably more common in roosters, who naturally have larger combs than their female counterparts. With that said, any chicken can fall victim to frostbite if the conditions are right, and precautions should be taken with your flock as a whole. Utilize the information at your disposal to set up proper housing and prepare accordingly; it could save a lot of pain in suffering for your birds in the cold winter months to come.